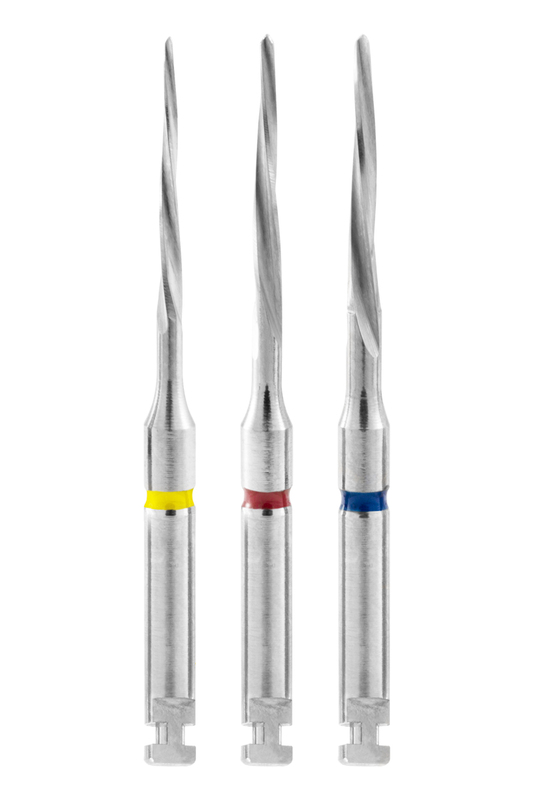 The Overfibers Reaming Drills are made of a monobloc in stainless steel AISI 630, mainly used for medical instrumentation, with a high mechanical and oxidation resistance. 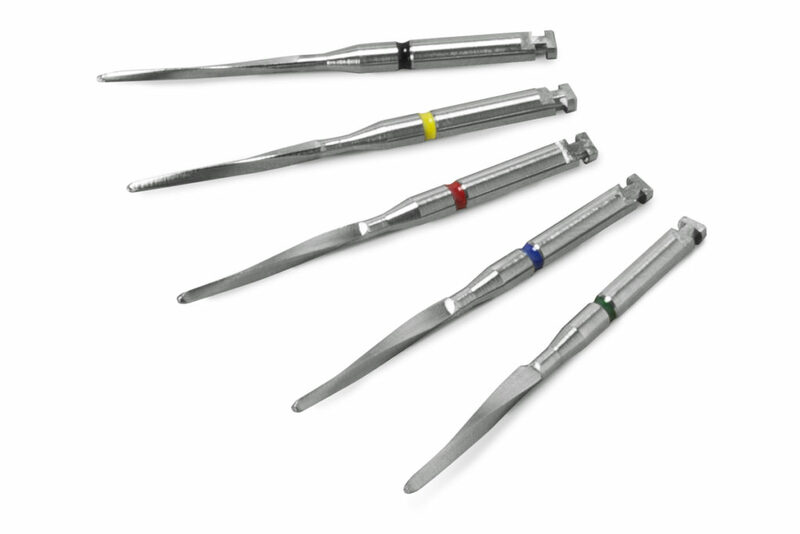 The toughness and the resistance characteristics, allow the drill, in case there are anomalies of use of the medical device, to flex without breaking inside the channel reducing the risk of fractures. The shape of the cutting edge is designed to ream and then produce a minimum material removal by rectifying the channel walls. 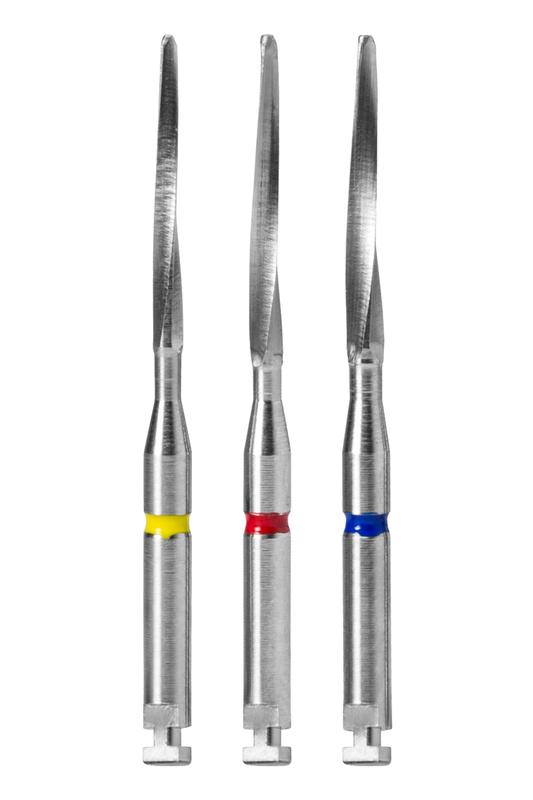 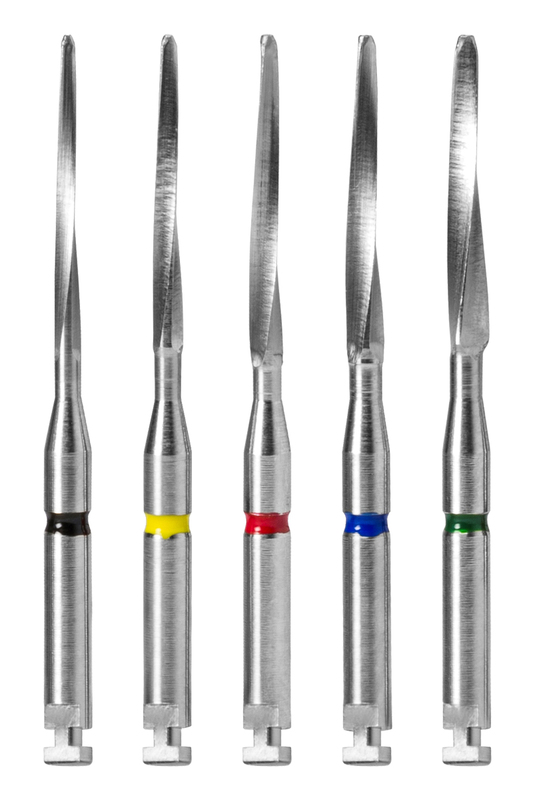 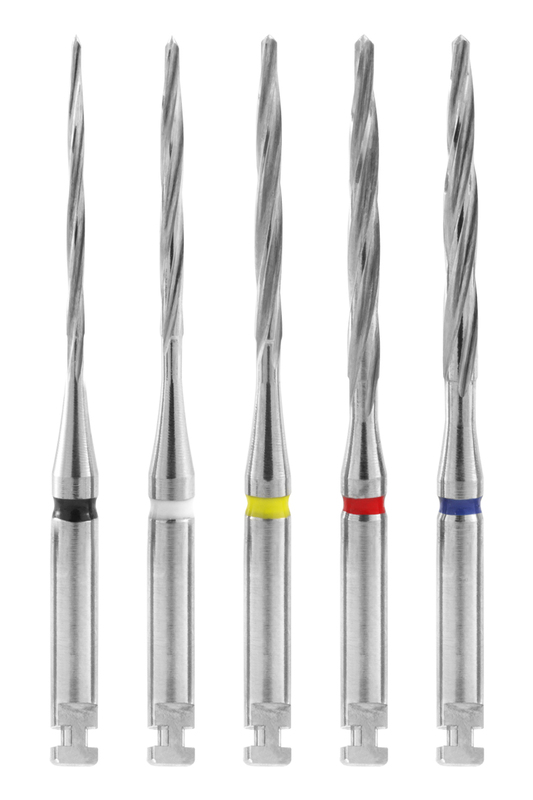 The stainless steel used, has an excellent corrosion resistance both in the field of chemical sterilization and steam sterilization (autoclave); it is also resistant to salt spray at 140 ° C.
The Drill Overfibers designed specifically for each type of post and they all have the colour code for the correct matching use.